Refrigerated trucks provide a great service to anyone that may need to transport food and other items that need to remain cold. If a business or person needs a refrigerated truck for a one-time use or only now and then, renting a truck is a lot more logical than purchasing a truck that will never be used again or only used every now and then. When renting a refrigerated truck, there are various kinds of trucks that can be rented, different option to choose from when renting a truck, various prices per truck, and important information that the business or person renting the truck need to know prior to renting a refrigerated truck. 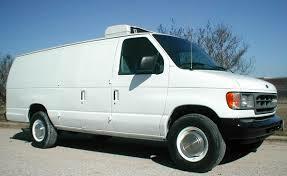 A cargo van truck is a versatile vehicle that is used for transporting basically anything. However, if a business or person needs to transport items that need to remain cold, then renting a refrigerated cargo van is a great idea. They are very similar to regular cargo trucks except that they have a refrigeration unit inside them that keeps the cargo area cold. Depending on what type of cooling unit the truck has, they can keep items cold for quite a few days. They can transport many types of items as well. A refrigerated cargo van/truck can transport anything that requires refrigeration, as long as it fits in the space available in the truck. They can transport a lot of fresh food items, frozen products, flowers, medical specimens, hazardous and/or volatile materials, and anything else that needs to remain while it is being transported from one place to another. However, if the cargo van/truck is being rented versus being purchased, there are more restrictions on what is allowed to be transported in them. Anyone wishing to rent such a vehicle should let the rental company know what they wish to transport before they sign a rental agreement or lease. There are also various cooling systems to choose from. There are three main types of cooling systems that are installed in cargo vans and trucks. The first one is the most basic and is simply a ventilation system that moves air through the cargo area. It is not really a refrigerated vehicle, but is perfect for transporting some items that do not require very cold air. The next type of truck uses carbon dioxide and ice to keep the truck cool. This type of vehicle is just right for short trips with items that do not require items to be at a set temperature during transport. The most advanced cooling system uses a diesel generator to power a complete mechanical refrigeration unit. It is not cheap to rent this vehicle, but they are ideal for long distance transports and/or for transporting items that have to be at a set temperature the whole time that they are in the truck. There are also options in trucks rental and different prices as well when they are rented from a commercial vehicle rental agency. Refrigerated cargo vans and trucks can be leased or rented from commercial vehicle rental agencies. The Metro refrigerated van has over five-hundred and forty-seven cubic feet of cargo space (8,500 lb., gross vehicle weight), can hold up to thirty-five hundred pounds, has a pass-through cab and cargo containment system, has a fuel efficiency of up to twenty-five MPG, 6.4 foot interior height, 54.6 foot turning radius (door to door), six-cylinder turbo diesel performance, has an electronic stability control, and an AM/FM radio with a CD player. It costs $94.45 a day to rent, $472.24 a week to rent, and costs $0.49 a mile to rent. The City van truck can be rented at either fourteen or sixteen feet long, has up to 960 feet of cargo space with 6,000 pounds of capacity, has a turbo-charged diesel engine for increased power with fuel savings and lower emissions, low-cab over design for more maneuverability and tighter turning radius, automatic transmission, power steering and tilt steering wheel that makes driving easier, a hydraulic lift gate or walk ramp, flat floor, slat interior with E-track that makes loading, securing, and handling cargo a lot easier, trucks with lift gates have a 2,000 pound load capacity, and heavy-duty insulated interiors and rear doors to keep the temperature constant through the entire transport. They cost $100.75 a day, $503.74 a week, and $0.49 a mile to rent. The straight truck can vary from twenty-two to twenty-six feet in length, has 1,600 feet of cargo space, the 26,000 gross vehicle weight holds up to 8,000 pounds, and the 33,000 gross vehicle weight can hold up to 14,000 pounds. This truck also offers automatic transmission and power steering to make driving easier, a dock-height hydraulic lift gate or ramps, a side door to make it easier to empty or fill up the truck, a versatile lift gate with a large 60 times 80 platform, that holds up to 3,000 pounds, and a fourteen inch walk ramp, a reinforced body that helps with loading with a forklift, two rows of E-track, flat floor and slat interior to protect cargo and keep loads safe, and they are air-conditioned with an AM/FM radio with a CD player. 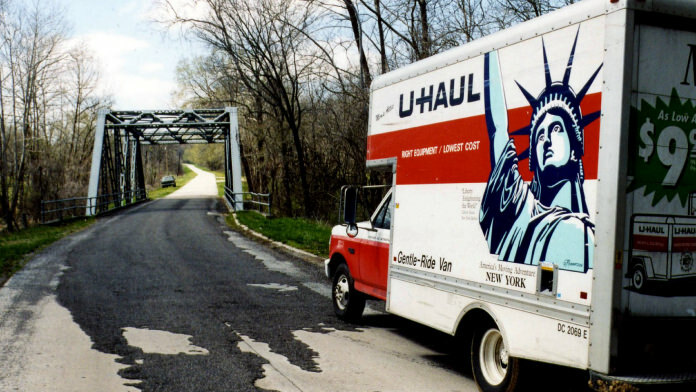 They cost a $127.00 per day, $634.99 a week, and $0.59 per mile to rent. Along with not having to purchase a refrigerated that may or not be used on a regular basis, renting a refrigerated truck has other benefits. Renting a cargo van means that the business or person that rents them does not have to pay for vehicle maintenance and the fuel. They can also be rented for a day, a week, or however long the vehicles are needed. For these reasons, renting a refrigerated truck definitely makes transporting cooler.